The Sustainable Tropical Timber Coalition raised its profile across the EU trade and communicated details of its sustainable procurement funding programme at the Carrefour International du Bois exhibition (CIB). The show in Nantes was used to mark the award of STTC sustainable procurement Action Plan funding to Netherlands hardwood and clears importer Royal Boogaerdt Timber. It was among the first such grants under a new funding programme backed by IDH-The Sustainable Trade Initiative. At the presentation, hosted by the STTC on the RBT stand, André de Boer, Secretary General of STTC principal partner the European Timber Trade Federation, told a sizeable audience about its aims and development plans. The STTC, he explained, has over €1.2 million to distribute in support of sustainable tropical timber procurement policies and promotion at companies, trade federations and local authorities EU-wide, and the programme is gathering momentum. RBT’s Action Plan has received €15,000 of STTC funding, backing €35,000 of its own investment. It will promote use of responsibly sourced tropical timber in yacht building and vehicle flooring sectors and support a Netherlands Timber Trade Federation project to ensure contractor compliance with sustainable timber procurement rules. It is also having its Myanmar supply chain independently legally verified. At the presentation, director Cees Boogaerdt urged the EU timber sector to achieve 100% sustainable tropical procurement to incentivise spread of sustainable forest management in supplier countries. The exposure the event provided was reinforced by the CIB’s growing international reputation. Visitor and exhibitor numbers were up 3% to 10,250 and 550 respectively and 28% of the former were from outside France, while exhibitors represented 28 countries. 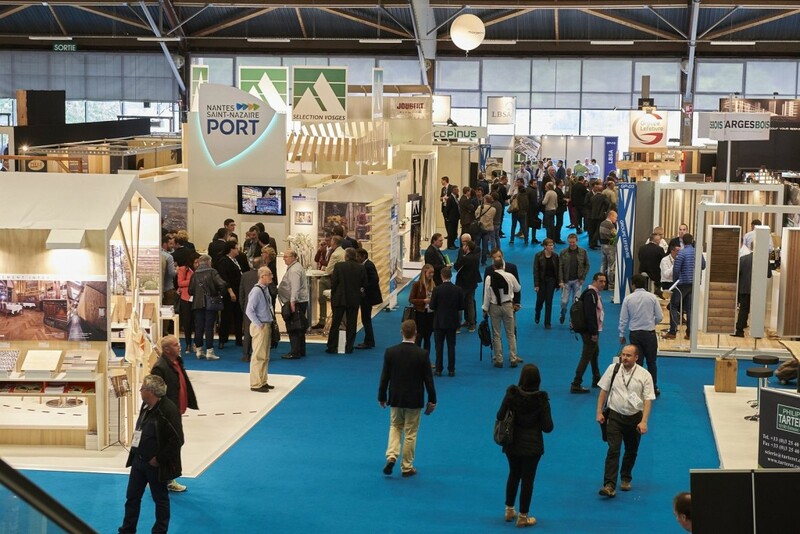 Other STTC supporters exhibiting included Interholco AG of Switzerland, Rougier Sylvaco Panneaux and Rougier Afrique International of France, Vandecasteele of Belgium and French timber trade association, Le Commerce du Bois.